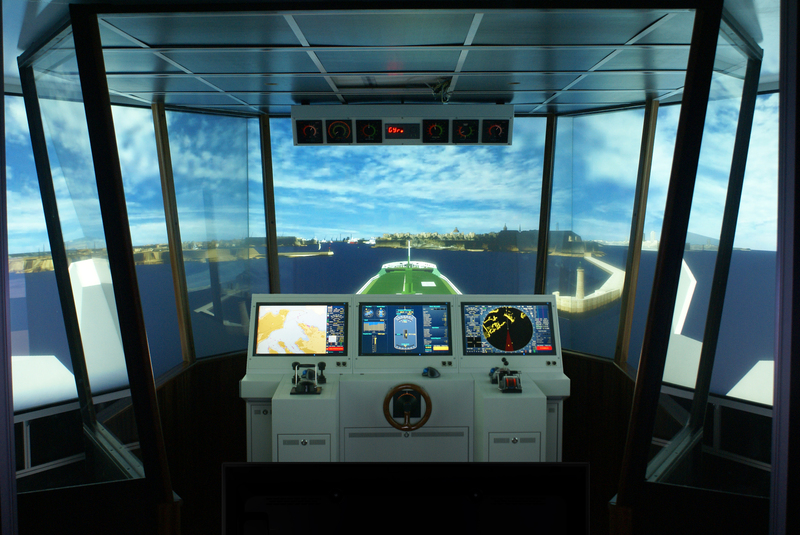 The original concept of setting up a Simulator Training Centre for pilots here in Malta was always envisaged, ever since the the Malta Maritime Pilots Co-operative (MMP) was created. MMP was one of the foremost of organisations in Europe to realise the fact that pilot work and pilot training, abide in the same ambience. Beside the legal requirements as stipulated by IMO for training, MMP took this challenge of training seriously, and invested heavily in a simulator centre, for the purpose of conforming with IMO requirements, improve and enhance the pilots’ skills and carry out safety studies and risk assessments on the new generation of passenger ships and container ships visiting our ports. Within a month, after the simulator centre was up and running, MMP also realised, that abiding by international standards was the only way forward. Thus, an approval from DNV, an international and well founded maritime organisation, was sought and gained, and MMRTC Mediterranean Maritime Research and Training Centre was created. 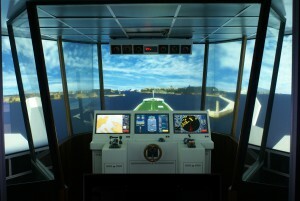 MMP has managed to create an internationally recognised training centre for maritime pilots in Malta. The Training Centre’s first challenge was hosting the master of a particular passenger ship that visited Grand Harbour every week. Unfortunately its first arrival coincided with a rather fresh NW’l breeze, and after the pilot on duty informed him that we have a simulator centre, he and his officers, spent the next 3 weeks visiting regularly our centre and trying out any condition that was of a concern on board. This took off like a wild fire and every passenger ship captain visiting Malta came over to practise for that sole eventuality, NW’ly force 6/7 25/30 knots, the window to decide whether to cancel Valletta and proceed t elsewhere, instead. Meanwhile, Freeport terminals informed MMP that their biggest ship (Marco Polo at 399m) was required to visit Malta Freeport, and it would be beneficial to know if we have the appropriate tug power and pilot experience to handle such a vessel. Of we went, communicating and liaising with Glasgow College for Nautical studies, how to go about and conducting a safety study for the arrival of this behemoth. Experience has shown us that success can only be measured by the amount of organisation. Thus, lead instructors from Scotland, ship masters from CMA, pilots, tug masters and Transport Malta personnel, descended to the training centre, and the rest is history. More passenger ship masters visiting Malta wanted to have a chance, entering grand harbour in inclement weather. 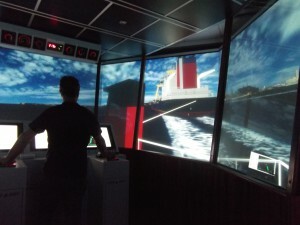 The Royal Navy, HMS Enterprise, the commander of which, thought best that this will be a good opportunity for his crew to practise ship handling away from their simulator in Portsmouth, another success, TUI’s newest building Mein schiff III, which had suffered a blackout previously, came over, for training with a dedicated model purchased solely for this particular scenario. Palumbo ship yard, rig movements, and other oversized vessels, including superintendents requesting a risk assessment for their particular cause, is a daily occurrence. The training centre, besides catering for the local STCW requirements, is involved heavily with local and foreign dignitaries, pursuing expert advise, on local and international basis. MMRTC is the embassy for these high calibre people and companies. An embassy, that promotes training and research of the highest quality, for any maritime organisation. All the pilots, members of the MMP coop are Master Mariner’s certificates holders. Every master mariner is endowed with world wide experience on different vessel types. Thus MMRTC, has a pool of expert lecturers who can cater for any eventuality of training. This fact is immediately realised when a training requirement for Single Point Mooring, was required by a foreign client. All the research was done, and a 3-day course was created. Ship to Ship superintendents, are common visitors, and again another 3 day course evolved. The Tanker trade, after passenger ships, is the second busiest industry in the world. MMRTC immediately realised this fact and besides the usual Tanker courses for officers, in conformity with STCW, a new course for terminals, as recommended by the OCIMF was created. MMRTC is the second training centre that offers such a course in the whole of Europe. 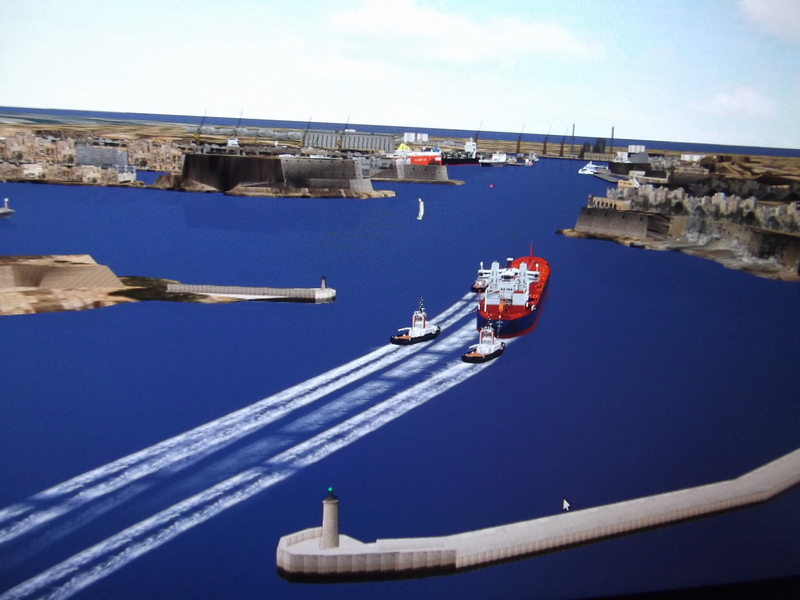 Another project, required by Transport Malta, was the Port Safety Study for Grand Harbour and Marsaxlokk port. Through our partner, Marin, all the new specific parameters, as required by Transport Malta, for this project, were compiled and analysed, the required ship models and scenarios, were constructed and tested via an open internet link with Wageningen, Holland. New ship models included, passenger ships over 330m in length, container ships over 400m in length, and any other awkward scenario that could be envisaged in any type of whether. A three day simulation schedule was formulated, and over a tea and a cake, all personnel involved mainly, pilot consultant and project manager from Marin, all MMP pilots, all masters from tug Malta, and personnel from TM, Harbour Master’s office, sealed off this project. The new gas fired power station consortium, required, a detailed risk assessment that had to include, the best way to construct a mooring jetty, optimised mooring arrangements, effect on third party port users, effects due to inclement weather, wave penetration for Marsaxlokk Bay, tug power required to keep FSRU on site, and any other emergency that could be envisaged. Again, through Wageningen , all parameters and scenarios were constructed, all personnel informed, simulation and analysis completed, report compiled, end result, client satisfied. MMRTC’s management system, as approved by DNV, requires continuous progress and monitoring of all the functions of the training centre. This requirement places a huge onus on all the personnel involved, to continue researching new products and improving all the present products. Once an idea is formed, researched and created, it will remain alive with constant and periodic upgrading, monitoring and improvement. Upgrading of equipment, be it hardware or software, is a daily routine. In fact MMRTC will be going through the 4th software and hardware upgrade, and management system audits, since its inception in 2010. This is MMRTC, this is what we do, give us your technical marine problem and we will come up with a solution.